Nearly two years after having his Twitch channel deleted, prominent Counter-Strike: Global Offensive streamer James “PhantomL0rd” Varga has filed a lawsuit against Twitch seeking monetary damages and an injunction against the streaming platform. The suit, filed on Feb. 14 in the Superior Court of California, alleges that Twitch violated Varga’s contract with the site as a partnered streamer when the company suspended his account and deleted his channel in July 2016. The suspension stemmed from reporting by journalist Richard Lewis that revealed Varga had undisclosed business ties, and was possibly the owner, of CSGOShuffle, a CS:GO skin-gambling site that he featured, used and promoted during streams. The connections arose after Skype logs between Varga and CSGOShuffle coder Dahau Joris leaked that “heavily suggest” Varga owned the site and procured roll percentages from Joris to adjust his rate of winning on the site. The allegations, if true, would violate consumer protection rules established by the FTC and Valve, and, in turn, would violate a Twitch edict to streamers to not produce “content that breaks the terms of service or user agreements of third-parties” such as Valve. In the filing, Varga claims he was recruited by Twitch “to become a content provider” and ultimately signed a multi-year contract that allowed him 30 days to respond to any alleged violation levied against his channel. 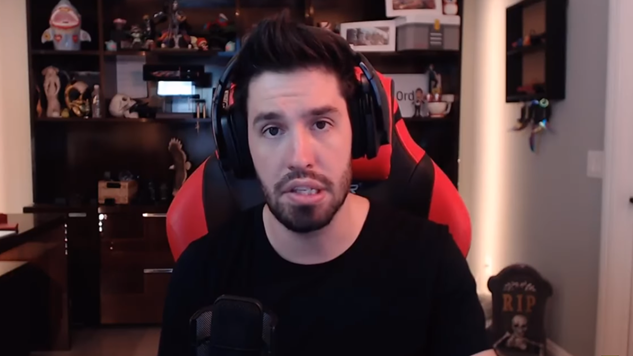 He says that Twitch violated the contract by not giving him a written explanation of the violations or allowing him the chance to respond to and/or correct the alleged misconduct. The first explanation given to Varga for the suspension was in January 2017 when Twitch informed Varga that he violated the company’s terms of service by amassing fraudulent subscribers. Varga maintains that the CS:GO gambling allegations against him are untrue, and claims in the filing that Lewis’ reports were “based on unchecked speculation arising from illegally obtained electronic records” and called Lewis an “unscrupulous commentator” who did not interview Varga about the issue. According to Kotaku U.K., Lewis claims he has evidence to the contrary in the form of screen captures of a conversation between himself and Varga setting up an audio call to discuss the allegations that ultimately never occurred because Varga did not answer multiple attempts by Lewis to call him over a three-day period. Beyond the accusations that Twitch intentionally misrepresented its content guidelines, the suit is seeking an injunction against the company to “enjoin and refrain Twitch from continuing its unfair business practices, and to order Twitch to immediately lift Varga’s suspension and restore his Twitch.tv account.” Such an inclusion, coupled with the hyperbolic language used in the filing, feels like a provocation from Varga intended to force a settlement with the company. There is a fair amount of risk on Varga’s behalf, as well. The suit overtly omits any acknowledgement to the actual wrongdoing alleged by Lewis and Twitch, makes claims that can be proven wrong by evidence that is already public and states that Twitch was well within its own contractual rights in suspending Varga due to a breach of its terms of service, whether it be due to the collection of fraudulent subscribers or the violations against Valve’s terms of service. Twitch has yet to issue a legal response to the suit, but this could set up a showdown that could set legal precedents for streamers’ rights—that is, if it does actually go to court.